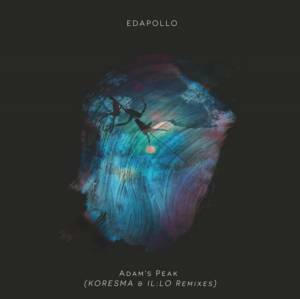 Excited to share with you a new release by 2 of my favourite ambient / experimental producers - edapollo & Koresma. Our paths have crossed with these guys long time ago - I had the pleasure of meeting Ed (edapollo) last year in Bali and we released our first label release with Ryan (Koresma), so as you can imagine their music is dear to my heart. We firstly shared the original "Adam's Peak" back in July last year when it was released and it absolutely blew my mind. Super lushful and touching, hands down one of the most beautiful electronic released for 2018 in my book. A few weeks ago, Koresma added his organic signature sound and crafted a beautiful "offspring" stemming from the original - the delightfulness you're experiencing as you read those lines.